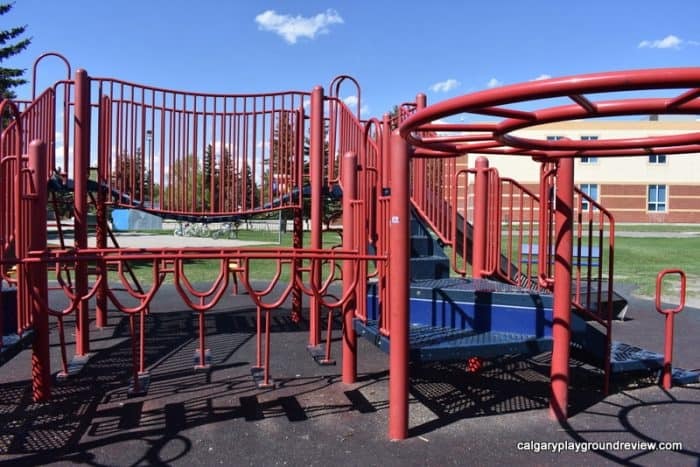 Features: tall spinner, tall rope spinner (apollo), seat spinners, saucer swings, large interconnected climber with steps and slides. 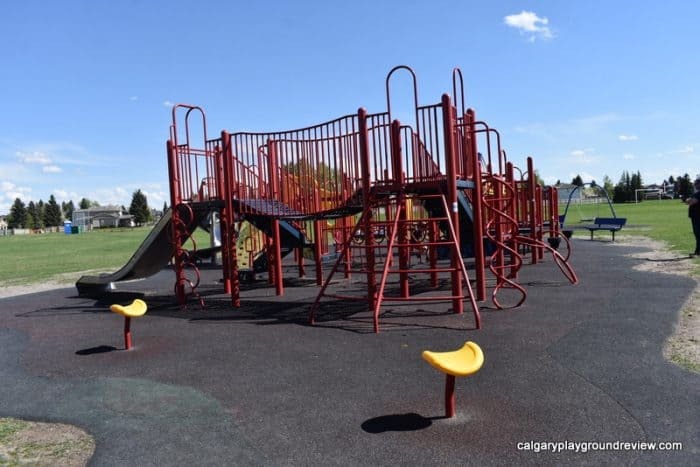 Accessibility: There are steps up to access the climber and accessible flooring throughout. 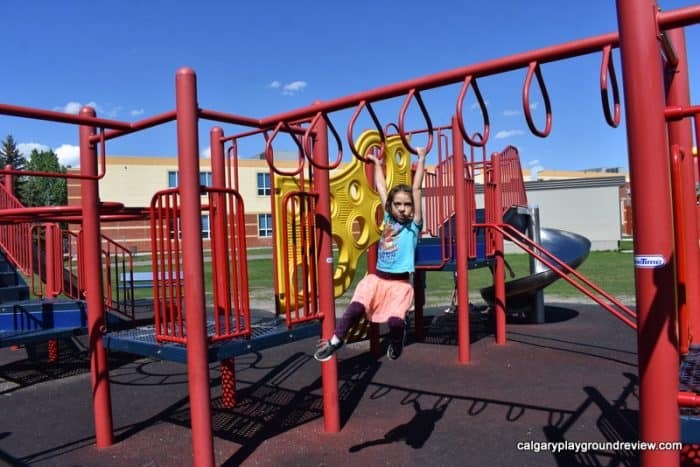 There are lots of different options for kids who benefit from vestibular stimulation. 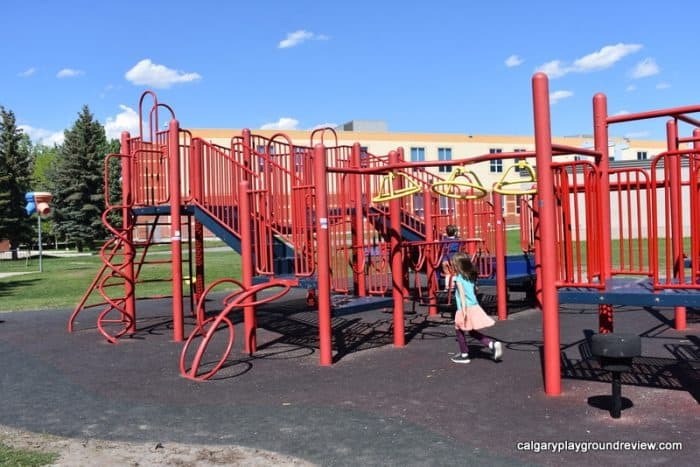 The saucer swings and apollo are good for kids who are able to transfer. 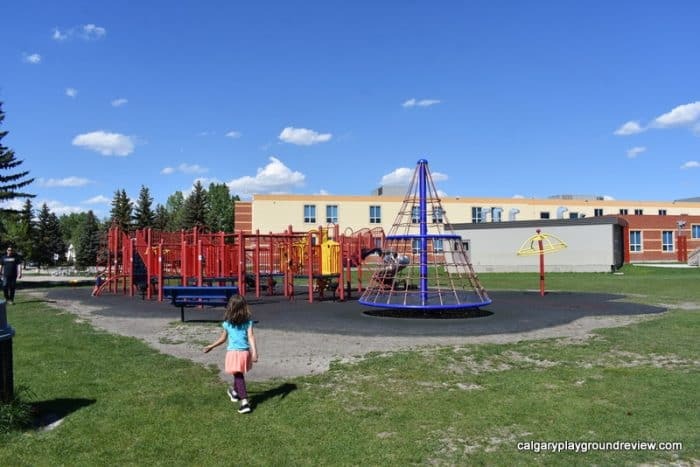 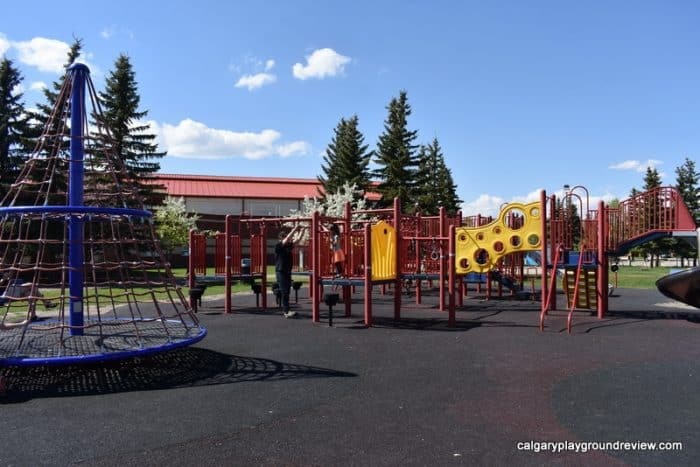 Overall assessment: There are actually two playground areas by Fish Creek School. 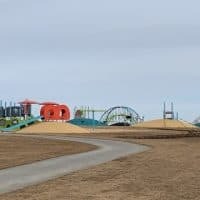 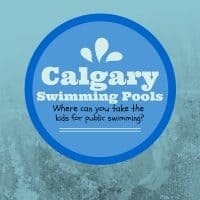 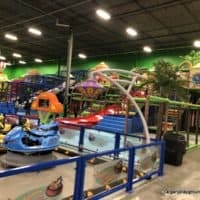 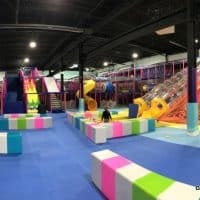 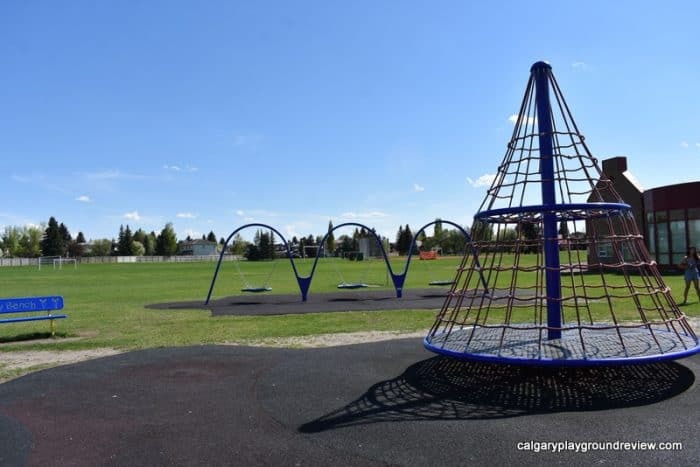 The largest one is on the East side but there is also a playground located on the West side as well (photo on the bottom of the post). 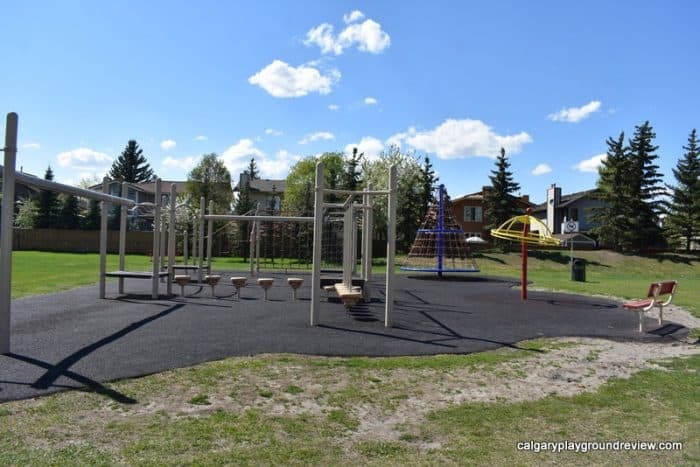 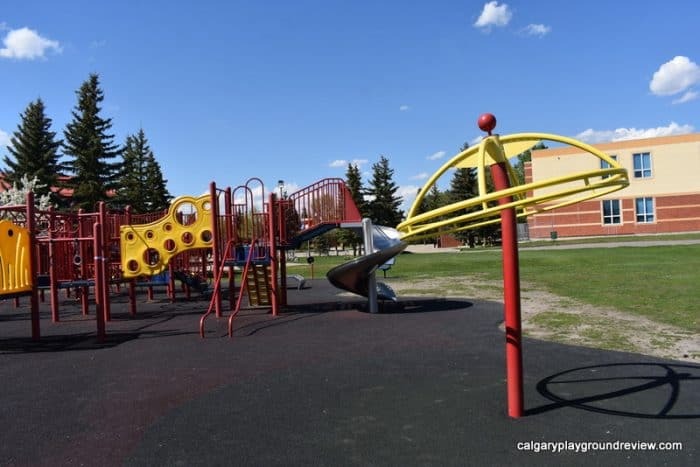 This playground has things that will appeal to both little and big kids and some great features like the saucer swings and big rope spinner.